Earn $3.09 in VIP credit (309 points)What's This? 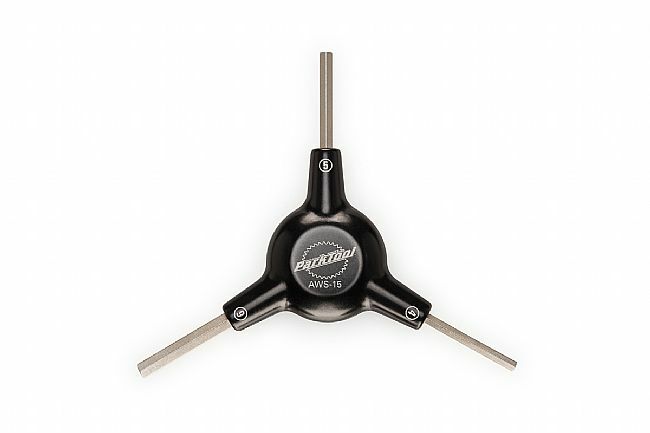 The AWS-15 Three-Way Hex Wrench from Park Tools features a forged, two-piece, anodized, ergonomically designed aluminum body and replaceable hex wrenches. 4mm, 5mm, and 6mm wrenches are made from industrial-strength heat-treated steel for long life.